Budgeting well is key to travelling the world independently, and managing your money well on the road is the difference between a long and awesome trip or one cut short because you have run out of money. Here is how to manage your money well on your gap year. One of the single best things about backpacking is the freedom, the ability to be able to do what you want, when you want. But as strange and contradictory as it sounds, this level of freedom does require at least a little bit of planning. This is especially true when it comes to planning your budget. You may have a strong desire to get your PADI certificate and island hop around Thailand for 6 months or spoil yourself with a luxury spa hotel after a week or two trekking through the Amazon, but if your budget doesn’t stretch to it, it just isn’t going to happen. Planning the budget itself is pretty straightforward, and once you have it all worked out backpacking is pretty much plain sailing, if you stick to it that is. The problem is not every backpacker sticks to their budget. One of the biggest problems first time backpackers make when planning for their first trip is under budgeting, and a huge part of this is not planning for the unexpected. Many first time backpackers often have a budget so tight there is no wriggle room to do any of the amazing things or take part in any of the life changing or exciting experiences they will come across in their travels, and when they do blow a huge part of their budget on one of these experiences, then they are stuck. They end up running out of cash very, very quickly. I once met a young couple in Chiang Mai, Thailand. They were the nicest people you will ever meet and after hearing what happened I couldn’t help but feel sorry for them. On their first day in Bangkok they were pressured into buying a few tailored suits and scammed into paying way over the odds for them. They hadn’t planned on this significant expense but simply got pressured into it, and when I met them they were seriously cutting back on comforts and other things they wanted to do during their trip because of it. You will not always get scammed like this of course, but you will always come across unexpected expenses on the road and if you haven’t prepared for them, your budget can be in real trouble. So just to prepare you for some of the things that you may come across, I just want to tell you about some of the things I have come across in my own travels that can put a serious dent in your budget if you are not careful. One of the biggest problems first time backpackers make when planning for their first trip is under budgeting. The first thing to prepare for is the contradictory paradox that whilst backpacking is extremely cheap, things can cost more than you think they will too. This can often be especially true if you stick to the well worn tourist trails. Those cheap prices you saw quoted in your guide books for great hostels and boutique hotels are completely out of date by the time they are in print, and are invariably suffering from the curse of Lonely Planet, where the price doubles and the quality drops as soon as the place gets listed, as the owners know they will get a string of grinning naive backpackers constantly through their doors, all clutching the same guidebook. The obvious way to deal with this is to stay away from the well worn tourist trails and head ‘off the beaten track’ where things will generally be cheaper. But to be honest sometimes these places are popular and well worn for a reason and you really don’t want to miss them, so instead just take a little side step off the well worn trail and stay in the place next door to or down the road from the one listed in the guide book. They will often be cheaper to try and compete and will often be more appreciative of your business. Food and drink – especially alcohol – is another area where backpackers tend to under budget for. During the planning stage many people may have read that those travelling on a budget can get away with spending a certain amount per day on food, which may not be technically incorrect, but that amount doesn’t include that second or third helping of Pad Thai from that street vendor on Khao San road (hey, I was hungry), that fancy meal you splurged on, that extra fancy desert you couldn’t resist or those few beers and the vodka bucket you had on a night out with those other backpackers you just met. Enjoying yourself is just part of the backpacking experience, and you wouldn’t want to deny yourself the opportunity just because your budget says you can’t. Now don’t get me wrong, I’m all for sticking to a budget – in fact it is necessary to do so to an extent – but there really is no point in backpacking if you are just going to deny yourself some of the pleasures of travel and live like a pauper with no money. Travelling frugally is one thing, being cheap and denying yourself amazing experiences is another. So just budget properly and leave yourself a little room in your budget so that you can enjoy your travels. Travel costs are another area where people seriously under budget for, that’s if they plan for it at all. This isn’t just about the expense of an extra taxi, bemo or tuk tuk fares all adding up (although this is a significant issue that people don’t always take into account), I’m talking about the extra trips, the unexpected jaunts over a border to see a site you didn’t know was there, that boat ride to the next island because of the can’t miss party you have just been told about or that budget airline fare because you just can’t face another 12 hour overnight bus. It is extremely common when backpacking for plans to change suddenly, especially if you are travelling for an extended period. There is absolutely nothing wrong with this – in fact this is what should happen, plans should always be flexible – but you should prepare for it by having enough leeway in your budget to soak up the extra expense. Those extra flights, boat rides or coach trips may be relatively reasonable (especially if you compare them to prices back home, and especially again if you happen to live in Britain), but these costs do add up. Another cost that adds to this is the unexpected visa fees when crossing borders (that may or may not be genuine). You really have to do your research if you plan on crossing a few borders during your trip, especially if that official border crossing only accepts USD! Another budget blower that is related to travel costs is the fees for changing dates on tickets. If you are travelling for an extended period on a gap year around the world, then chances are you have an RTW ticket, or at least a few pre booked tickets with specific dates on them. These are perfectly fine, until you reach your designated date for flying to a new destination and find that you really, really don’t want to leave yet. Changing the dates on those tickets are possible, and relatively easy to do, but of course that does incur a fee, and quite a hefty one too. If you do this more than once then that cost becomes quite significant. The thing is, it is extremely common to arrive in a destination, fall in love with it and want to stay longer than you originally planned. I once met an ageing hippy on an island in Malaysia, who turned up from Australia for the surfing sometime in the sixties, loved it so much and never left! Can’t really say I blame him! Sometimes you may decide that a particular city or place isn’t for you and you want to head on to pastures new a little sooner. The ability to do this is one of the best things about backpacking and travelling independently, the freedom to do what you want when you want. But many travellers don’t prepare beforehand for this possibility, and the fact that they will have to shell out for date change fees. The ones that don’t prepare and decide they want to do this, can find they have just blown a week’s accommodation budget just to change a date on a piece of paper. Simply planning ahead and having the foresight to either over budget (and therefore having funds left over that you can splurge) or having a specific extra fund for it can easily solve this problem. If you end up not using those extra funds, then hey, it’s a bonus and you can extend your travels or even get an extra trek or two, but it is better to have it than not and it is a huge shame to run out of money just because you didn’t plan ahead. While we are on the subject of fees, it’s probably about time I mentioned the dreaded word. Banks. While you are travelling you will need to access your money, that’s just a given. But not doing your research or not being aware of what accessing your money can cost you can lead to you spending more money than you thought you would. It may not be huge amounts, but it all adds up. Using your debit card in ATMs abroad or using your credit card (if you must) will invariably incur fees from the banks. You used to be able to get some banks that would waive fees for foreign ATMs, but that bonus has gradually disappeared from UK banks at least. I know, it winds me up too but there is little we can do about it. Carrying cash and exchanging it for foreign currency abroad will likely incur a small fee too (much more if you change currency at home before you go or at the airport). These extra fees are never much in the grand scheme of things, but they all add up. Being aware of them and doing a little research can stop a few nasty surprises when you hit the ATM and realise you don’t have as much in there as you thought. Don’t get me wrong, as costs go all these aren’t all that huge, and backpacking is still an excellent and comparatively cheap way of travelling the world. These are just some of the little things that can crop up during your travels that can hit your wallet harder than you thought they would and put huge dents in your otherwise perfectly thought out budget plan. The effects are worse when your budget is ultra tight and has no room for error or manoeuvre, because these are often the costs that can creep up on you without you realising it. The key to getting a great budget and not having anything like the examples above scupper it is research, knowledge and preparation. 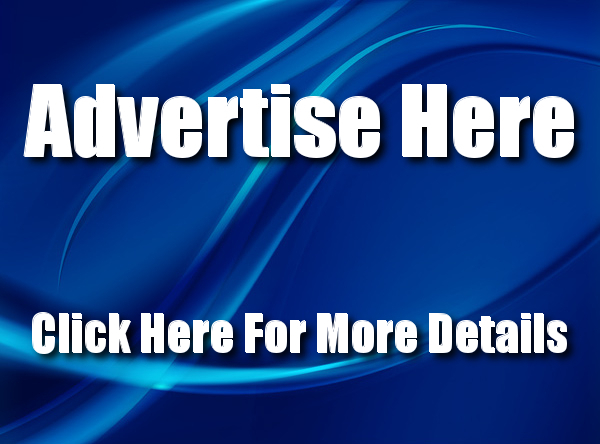 If you are aware of these little surprises beforehand, you won’t get any nasty shocks when you start running out of money sooner than you thought. You can prepare for them and leave a little bit of leeway in your budget to absorb them. That way you can still travel the world on a budget, but enjoy your travels and not have to worry about missing out on that little bit of comfort or that extra once in a lifetime experience because you can’t afford it. I want you all to get out there and experience the world in all it’s infinite variety and glory, it truly is a magical place. I know to do that you will need to budget, I have been there myself, but don’t let budgeting become your overriding concern. Make sure you save enough to enjoy your travels in the first place, follow the money saving tips on my site and budget sensibly, but enjoy your time and experiences too. That is the difference between being frugal and being so tight fisted you miss out. And no one wants to do that! 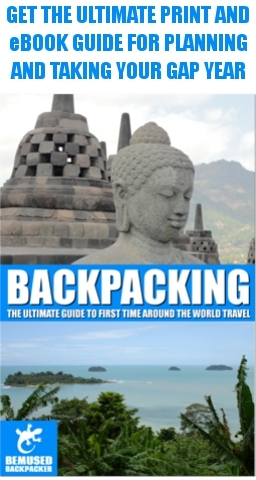 ‹ Backpacking: The Ultimate Guide To First Time Around The World Travel For Sale Now! You’re very welcome, I’m glad you found it useful.